While we are waiting for summer to arrive here in Norway I thought it was time with a little update from me. A few big projects have occupied me the last months, and now I am busy preparing the coming half year. Wood Street Galleries consists of two floors of about 175 m2 (1800 square ft) each. 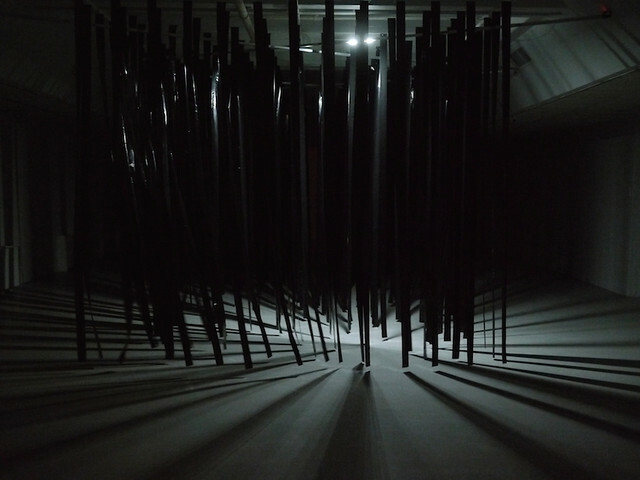 On one floor I created a new installation, flimmer: light and wind passes through a volume of black strips suspended from the ceiling in the white gallery room. On the other floor the walls where painted black, and I created two rooms with half-transparent walls to contain the installations revolver and spin. The exhibition opened on April 24th and closes on June 21st. 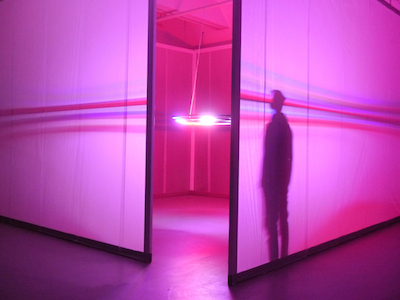 I was invited to be part of the Blinc program of Adelaide Festival of the Arts which opened end of february. 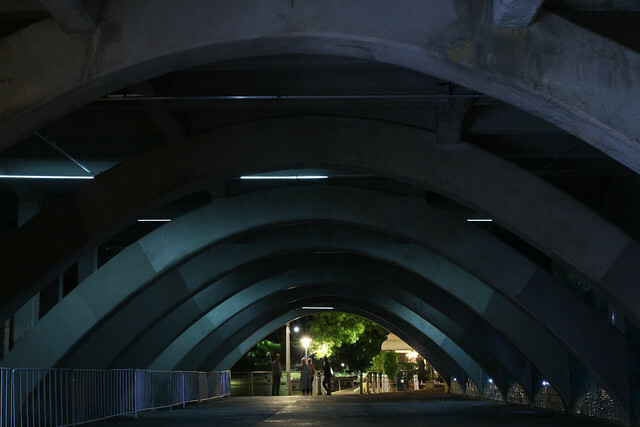 I selected my location because of the beautiful arches of the underpass of the bridge and used that as the departure point for this site-specific installation. You can read more about the project in the link below, which also contains a video documentation and some more images. It´s been a while since our last performance together, and this one is a bit special to me as it is the first time I show work in my city of birth, Kongsberg. 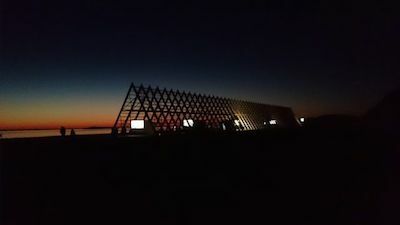 This is something I am quite excited about: I am making a light-motion installation for a 140m (450 ft) long fish rack designed by Finnish architect Sami Rintala placed on a white sand beach on the beautiful island of Sandhornøy in the north of Norway. 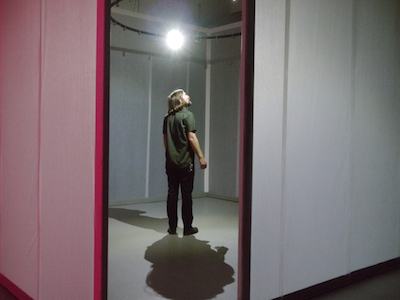 confirmed activities for the fall includes participation at the Norwegian Sculpture Biennale, two solo shows in Norway, as well as a project for Dark Ecology. I mentioned a book release in the last newsletter, this is put on hold for a while. If anybody knows about an interesting art book publisher please let me know.